UN-Water, as the United Nations inter-agency coordination mechanism on freshwater and sanitation matters, serves as an Observer to the IAEG-SDGs to provide consolidated technical input on SDG 6 together with the WHO/UNICEF JMP. 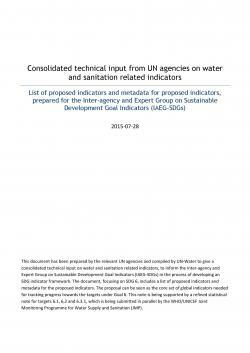 This list of proposed indicators for monitoring water and sanitation related targets in the SDGs results from an extensive consultative process within and outside of the UN-Water family, including all UN agencies involved in global monitoring of water and sanitation, international partners in the sector from academia, civil society and business, and the Member States. Individual organizations(s) which can take responsibility for each target are listed in the table. Acknowledging the strong interlinkages between SDG 6 and target 11.5 on water-related disasters, UN-Water is also offering to list a focal point for 11.5 in order to ensure coordination and a coherent effort on these targets. For SDG 6, we have proposed ten core indicators that we believe are needed for monitoring the six technical targets, plus one additional indicator for each of the two means of implementation targets for a total of 12. In addition we are also proposing indicators for target 11.5 on water-related disasters. Under the UN-Water umbrella, an integrated monitoring framework has been set up, building on decades of monitoring experience among UN Members, that is well advanced and poised to assist Member States for global monitoring of SDG 6. 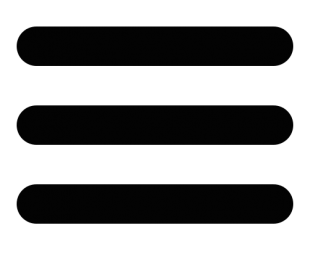 It is the new global expanded monitoring initiative, GEMI – Integrated Monitoring of Water and Sanitation Related SDG Targets – which is looking to monitor targets 6.3 to 6.6. GEMI is a partnership of UNEP, UN-Habitat, UNICEF, FAO, UNESCO, WHO, and WMO under the UN-Water umbrella. It complements the WHO/UNICEF Joint Monitoring Programme for Water Supply and Sanitation (JMP) which aims to monitor targets 6.1 and 6.2 and part of 6.3, and the UN-Water Global Analysis and Assessment of Sanitation and Drinking-Water (GLAAS) to monitor target 6.a and 6.b.